Tarek Chemaly: IKEA - the magic man holiday ad. IKEA - the magic man holiday ad. You know those ads where you smile instinctively at the end of them? 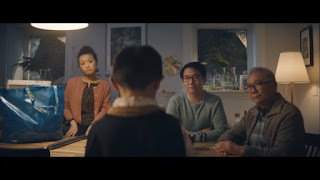 Well, let me introduce you to IKEA magic man commercial for the holidays. A kid is having a hard time transforming into a magician. And failing miserably. The only indication it is an Ikea commercial is for that small price tag on the screen but nothing else. Enter his loving grandfather who has tricks of his own. Lovely, warm, understated, a low key very enticing commercial. See it here and enjoy!